Today I want to show you how to make your own breadboard! 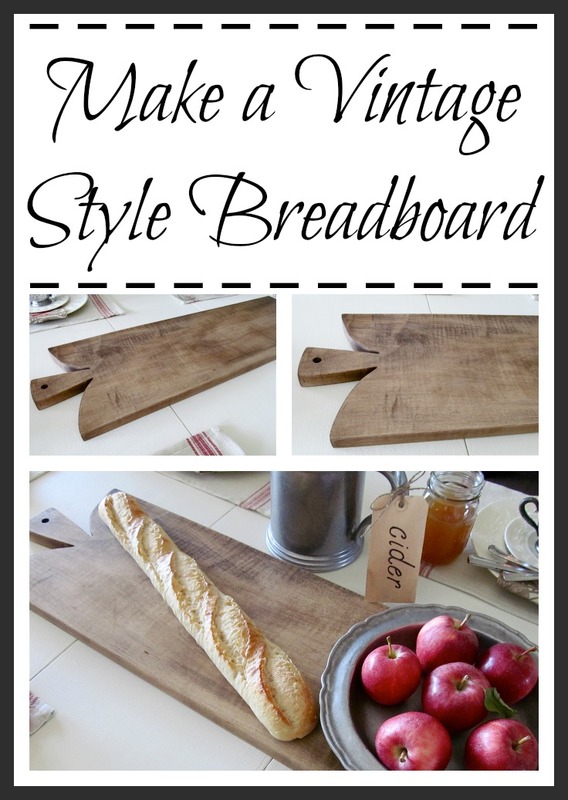 Really, there’s nothing quite like a real vintage bread board. They hold so much character from use and the wear of time. 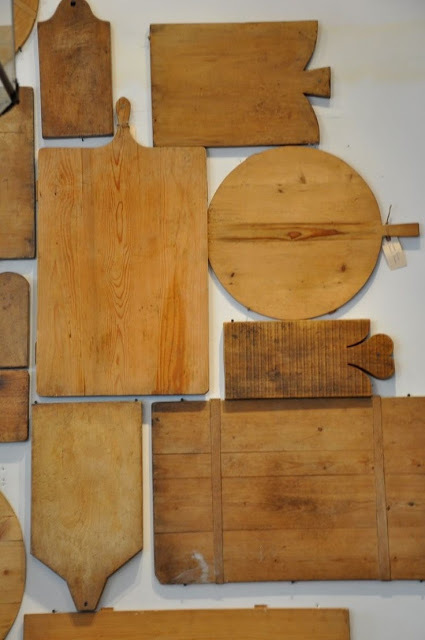 You can find bread boards at antique shops, estate sales and auctions, and on Etsy. A larger sized bread board will most likely be $100 or more. Making your own breadboard is pretty easy. But, you will need a jigsaw to cut out the handle. I did some research and decided why not try to make my own bread board. The hardest thing I found was trying to find the right piece of wood. I wanted a maple board that was at least 10 inches wide. To my surprise, maple boards this wide are not easily available – especially at the local Lowe’s or Home Depot. Most of the wood sold at these stores is called “white wood” – which is most always pine. Really, the type of wood is your preference. 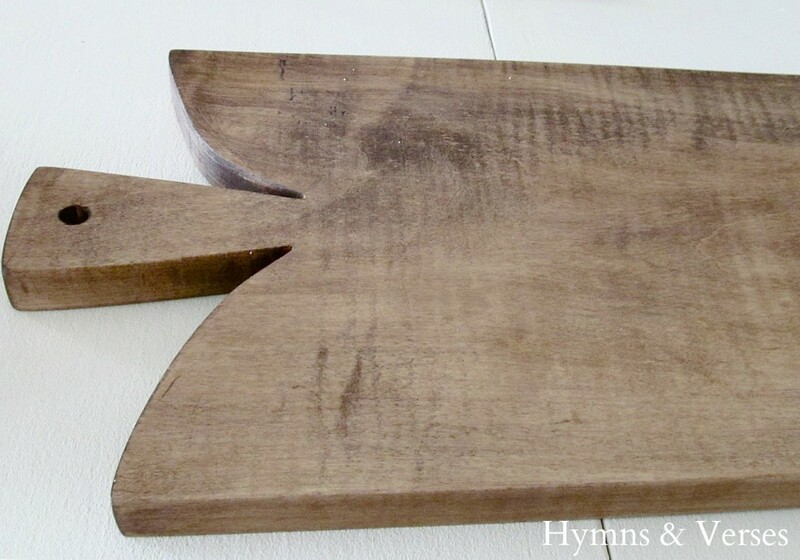 If your breadboard is going to be purely decorative, a piece of pine would be just fine! We finally found a local lumbar yard that had a rough cut piece of maple for $5 a foot. My brother in law has a planer and Mark ran the rough cut plank through the planer until we had a smooth surface. It’s not super smooth because I wanted the board to look old and weathered. On one end of the board I drew the design for the handle and Mark used the jigsaw to cut it out. Then he drilled a hole in the handle. I used sandpaper to sand around the edges. For the finish, you want to make sure the board is food safe. Most places I found recommended food grade mineral oil, which is also used to seal butcher block. However, it doesn’t give the wood any color. 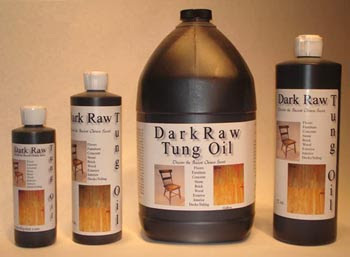 I finally found a product sold by The Real Milk Paint Company called Dark Raw Tung Oil, which is approved as food safe by the FDA. This product gives an antique look while providing a water resistant coating. An 8 oz. bottle is $9.35. Please be aware that not all tung oil is FDA approved. This is the only product that I could find that provides color and water resistance and is also food safe. In total, I did spend about $25 for the bread board, but it’s something that I’ll use quite a bit and is just the right size for my table. 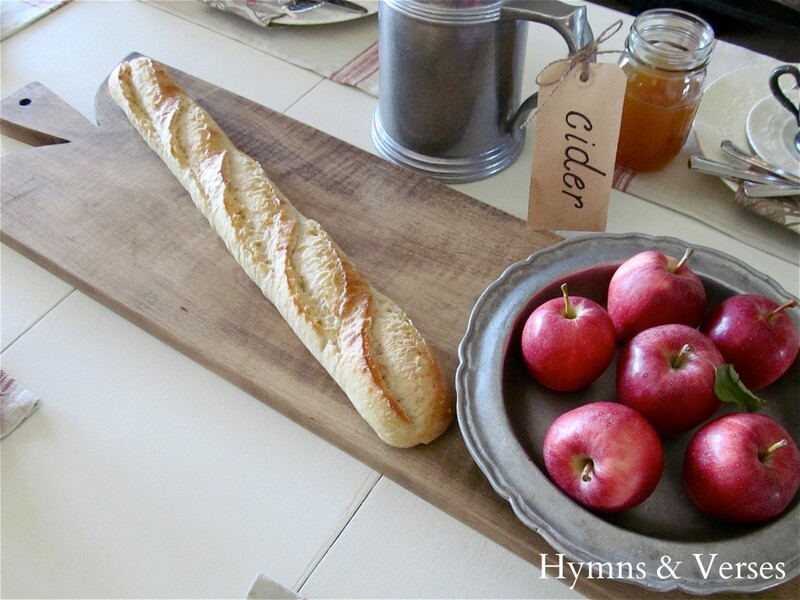 I’d love for you to stop by Hymns and Verses and follow along with me there! Love this idea! Never thought to make one myself. Thanks for sharing! Beautiful Doreen! I love your breadboards! I collect breadboards and have never thought of actually making one myself. I will definitely give this a try. I’ll have to practice those curves with my jigsaw. These is absolutely gorgeous! 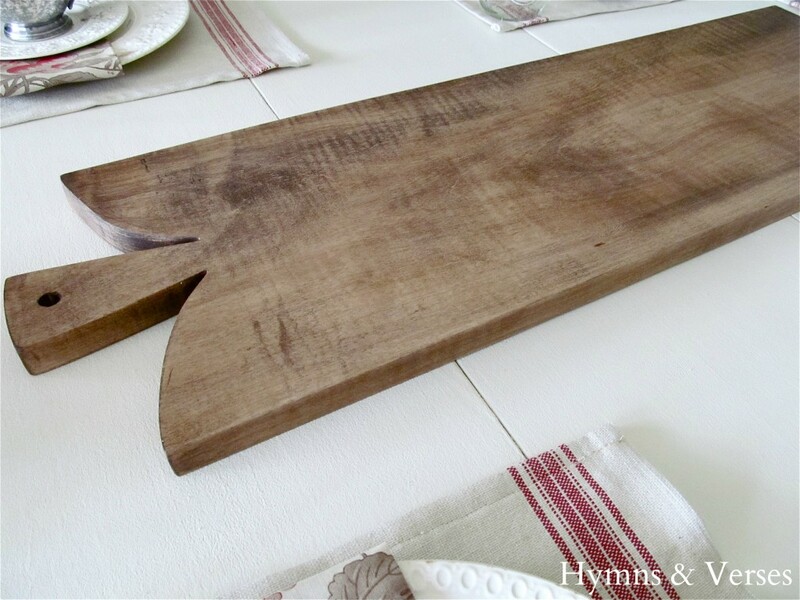 I never thought of making my own bread board ~ yours is perfection.